The calendar provides a nightly guide to what’s visible in the sky, including moon phases, planetary positions, eclipses, lunar occultations, conjunctions and meteor showers. It includes a summary of the year indicating the best times to view the planets. 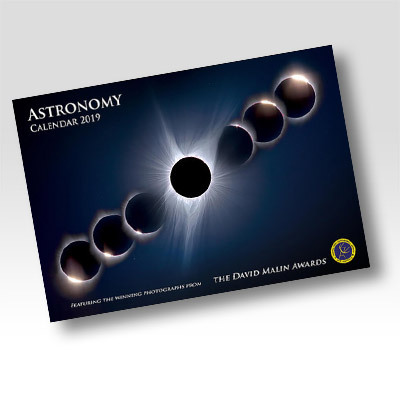 Calendar features nightly moon phases and Monthly Star maps and is 23 x 33cm in size, opening to 46 x33cm. Maps have been designed for 25° to 45° south latitude. Australian national holidays only and NZ holidays.